Ever look at your photo and just can’t put your finger on what’s wrong with it? I mean, you thought you had it, you thought it would look a certain way. You even made a few different attempts but something is still…well…off. In 5 minuts or less, I’m going to show you exactly what it is that’s standing out as just not right. I’m going to show you how to fix your photos. On today’s episode, we chat about what kind of photos to send to a modeling agency. Watch the episode below and if you would like to submit a photo, simply email info@shannon-michelle.com and use the subject line – Fix My Photo. Don’t forget to subscribe to the YouTube channel for more videos like this. Ever look at your photo and just can’t put your finger on what’s wrong with it? I mean, you thought you had it, you thought it would look a certain way. You even made a few different attempts but something is still…well…off. In 5 minuts or less, I’m going to show you exactly what it is that’s standing out as just not right. I’m going to show you how to fix your photos. On today’s episode, Amy learns how to pose her hands so that they look more natural. Ever look at your photo and just can’t put your finger on what’s wrong with it? I mean, you thought you had it, you thought it would look a certain way. You even made a few different attempts but something is still…well…off. In 5 minuts or less, I’m going to show you exactly what it is that’s standing out as just not right. I’m going to show you how to fix your photos. On today’s episode, Katie learns how to pose so that she can feature her tattoo without it being distracting. Ever practice in the mirror just to blank when it’s time to strike a pose? Next time, go ahead & get the pose you like (in the mirror) then stop for a minute – close your eyes – and remember what it feels like. Because you won’t have the mirror when it’s time to take a photo, it will be much easier to remember the pose when you know how it’s supposed to feel. Want more tricks like this? Want to look relaxed in your photos? Take a deep breath, blow out of your mouth and take the photo at the end of the breath. Know why? Because your muscles are physically the most relaxed at the end of the breath. Try it! Want more tricks like these? 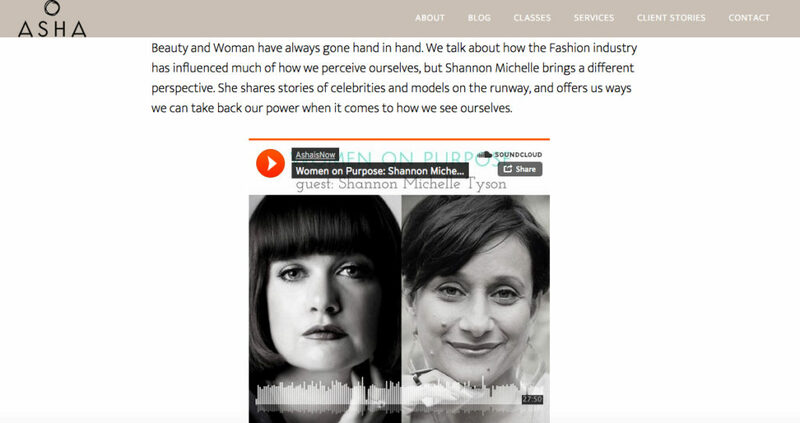 I loved doing this interview for the Women on Purpose show and here it is! You can listen to it by clicking the photo below. We chat fashion, beauty, the industry, personal stories etc. Enjoy!! What if I told you there’s one thing that most people have in their kitchen pantry that could help you with your selfies, your family photos or pics of your kiddos? Well, there is! And it’s…. I’ve spent lots of money on the best reflectors a girl can buy. But when you’re backstage at NY Fashion Week, and you’ve left one of those dazzling reflectors at home and there’s no time to get a new one, it’s tin foil to the rescue! Well, that’s how it started at least. Then I realized that tin foil actually worked better than some of those fancy reflectors! So I started making my own. And so did a lot of other backstage photographers. In fact, for many of us, it’s now the go-to . When you’re travelling, tin foil is easy to get, easy to use and when you’re done with it, you just toss it out. No need to make extra room for it in your luggage. But for you lovelies at home looking to up your selfie game, try a bit of aluminum foil. Grab a piece just large enough to cover a small baking pan, and while you’re facing the light, try holding the foil at about breast level, with the side farthest away from you, angled up at your chin. You may be able to feel the light hit your face. You should definitely be able to see the light hit your face! Don’t believe me? Check out the two photos below. The one on the left has an aluminum foil reflector added. You can easily see that on the left, there is a bit more light on my face than the one on the right. Look at the cheeks, under the eyes, and the shadow on my neck. But the biggest wow of all is the amount of light in my eyes. Totally unedited [for education purposes only…hahaha], you can see how much extra pop or twinkle I have in my eyes when I am holding a reflector. BOUDOIR – THE ULTIMATE IN INTIMATE GIFT GIVING. Making it the perfect groom’s gift. Join us for the after party at Middleton Place and learn more about our services, products and meet Shannon Michelle in person! ENTER TO WIN 2 FREE TICKETS. Make sure you’re on our mailing list [HERE] and we’ll raffle them off by Jan 21st. Good luck!! Engaged or Getting Married in 2017?! Join us at this year’s Revolution Wedding Tours in charming, Charleston, SC. As the only boudoir photographer invited, we are very honored and grateful to celebrate the finale` of Charleston Wedding Week [produced by Charleston Wedding Magazine] by participating in this one of a kind event. These tours are so fun for brides to be as they can experience each venu’s potential for their day, including a variety of custom desing concepts. You can find us at the stunning Middleton Place, where we’ll offer samples from our unique product line. 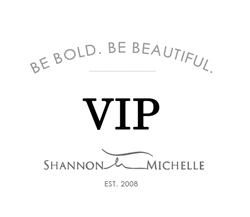 Meet Shannon Michelle in person and browse sample albums, prints, gift ideas and more. Start to design your own boudoir experience and give your groom the ultimate in intimate gift giving. For tickets or more info, click HERE. The gorgeous Nessa, licensed esthetician for Dr. Thomas Funcik, chats micro needling and why it might just be the thing you’re looking for before your next beauty or boudoir shoot. To schedule your own complimentary consultation for micro needling [a $75 value], call (843) 884-3277 and mention SHANNON MICHELLE at booking. WHY IS MICRO-NEEDLING RECOMMENDED BEFORE A PHOTO SHOOT? HOW DO I TREAT PEELING?